You are here: Home / Articles / Leadership Articles / Leading Change! Comments Off on Leading Change! Leading a team through periods of rapid change can be a leader’s toughest problem. Discover the tools that leaders like Steve Jobs of Apple Computers know: that change managed correctly can result in massive quarterly growth in revenues and earnings while maintaining high morale and fiercely loyal employees. Explore the barriers to change and where they come from, along with the tools to overcome the natural human resistance to change. How you lead your team will shape the direction of your company in the global economy of the twenty-first century. Every good leader knows that you can learn from others — discover the top twelve reasons why organizational change fails from New York Times bestselling authors. Clearly understand the seven phases of change that people experience and you will be equipped to lead your people to success. DR. LARRY IVERSON: has educated, motivated and entertained audiences for nearly thirty years. From his work with Olympic and world-class athletes to the main platform of Fortune 500 conferences, Larry delivers persuasion and communication strategies you can apply right now. Larry blends vision with his background as a Clinical Psychologist in guiding you on an insightful journey, while you develop insights that assist your personal development. He masterfully uses enthusiasm and humor to help you gain control in your life. ZIG ZIGLAR: world renowned author and speaker, has an appeal that transcends barriers of age, culture and occupation. He has written twenty-nine celebrated books on personal growth, leadership, sales, faith, family, and success. JENNIFER SEDLOCK:is an inspiring keynote speaker who moves audiences to action. She gets to the heart of the issues while laser focused on helping people achieve their desired results. With a bachelors degree in Business Administration from UC Berkeley, and a masters degree in Organization Development from USF, Sedlock’s resume includes management and corporate training positions prior to speaking across the country on communication, leadership, and teamwork. As a Myer’s-Briggs(tm) trainer and women’s event speaker her company Jennifer Speaks! is helping thousands of people make choices and changes that will impact the rest of their lives. BRAD WORTHLEY:is an accomplished consultant and behavior-change specialist with over 30 years of business management experience. He is also an internationally acclaimed leadership, customer service, and motivational expert. DR. SHEILA: Dr. Sheila’s expertise in Leadership and Change has helped organizations worldwide maximize human resources, forge a sense of community, and increase bottom line results. Her broad view of current trends and relevant issues will help strengthen your culture and brand and will enhance your training and development initiatives toward organizational growth and prosperity. Her client list reads like a Who’s Who of Business, Trade Associations, Education and Government, and she’s given over 3,000 presentations to over two million people in 20 countries. Sheila is a recipient of the Speaker Hall of Fame award and has been recognized as one of the ‘Twenty-one Top Speakers for the 21st Century’ by Successful Meetings Magazine. SARITA MAYBIN: Sarita Maybin, professional speaker and author of the book If You Can’t Say Something Nice, What DO You Say? provides real-life strategies for constructively confronting tough communication situations, staying positive in uncertain times and working together better. Since 1993, Sarita has educated and entertained audiences in almost all 50 states, Canada, England, Hong Kong, Singapore, Malaysia, Mexico and Iceland. Her clients include Hewlett Packard, Kaiser Permanente, Los Angeles County, WD-40, the Las Vegas Convention Center and many others. MARK SANBORN: Mark Sanborn, CSP and CPAE, is president of Sanborn & Associates, Inc., an idea studio dedicated to developing leaders in business and in life. Mark is an international bestselling author and noted authority on leadership, customer service, and turning the ordinary into the extraordinary. His book The Fred Factor has sold over 1 million copies. 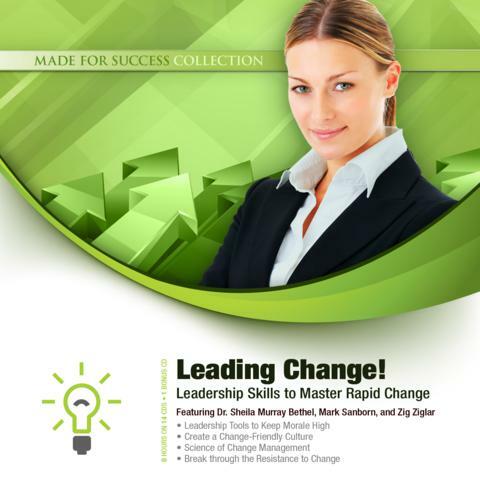 Leadershipgurus.net lists him as one of the top 15 leadership experts in the world today. Did You Say What I think You Said! ?